From a handsome espresso set to a cute wine tote bag, here are great gifts for the food lover in your life. 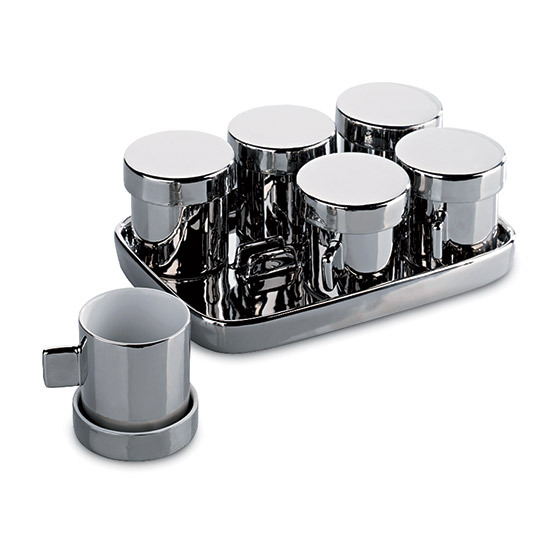 Lexon's porcelain "Coffee Time" cups have a chrome glaze and saucers that double as lids. 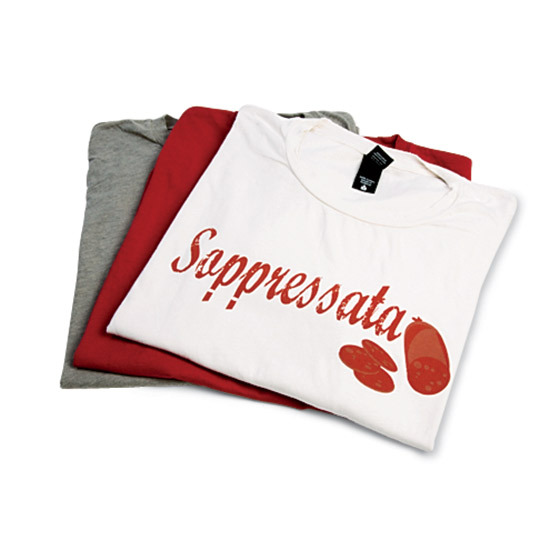 Inspired by his nickname, Prosciutto, David Ciaburro emblazons T-shirts with illustrations of various cured Italian meats (from $25 each; woosterstreetmeats.com). 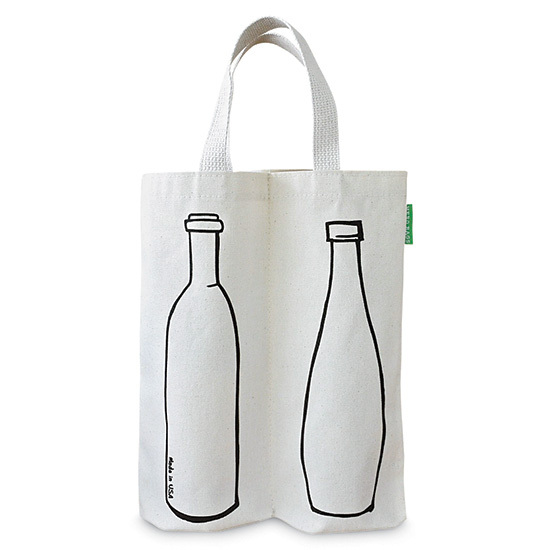 A center seam on this cotton canvas bag creates two pockets, so bottles don't clink. 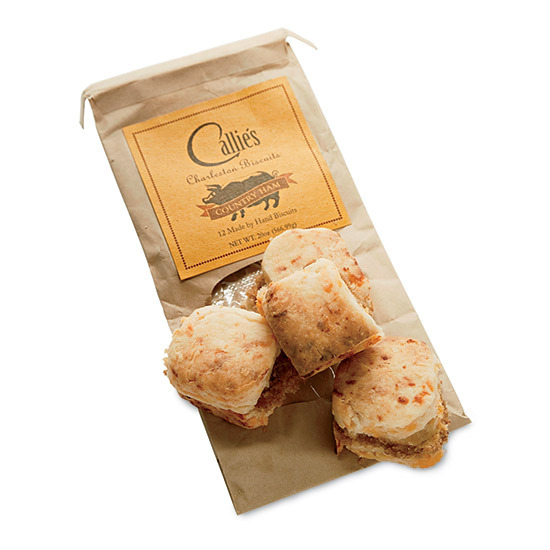 Buttery ham biscuits from Callie's, with a hint of Dijon mustard, are shipped frozen. $46 for 2 dozen; calliesbiscuits.com. 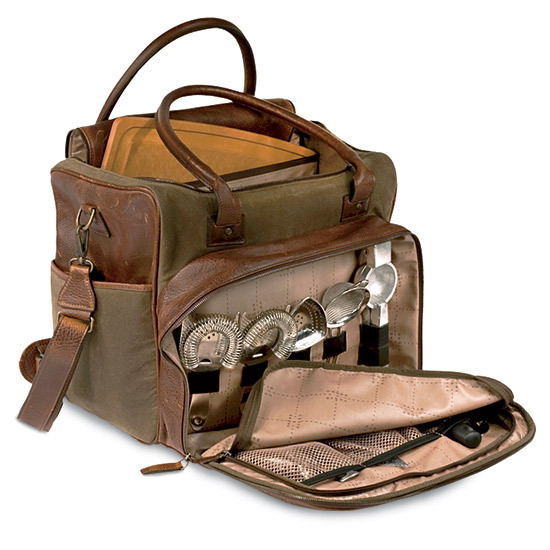 For home bartenders, Food & Wine's spirits correspondent Jim Meehan designed a pro-worthy bag and roll-up. 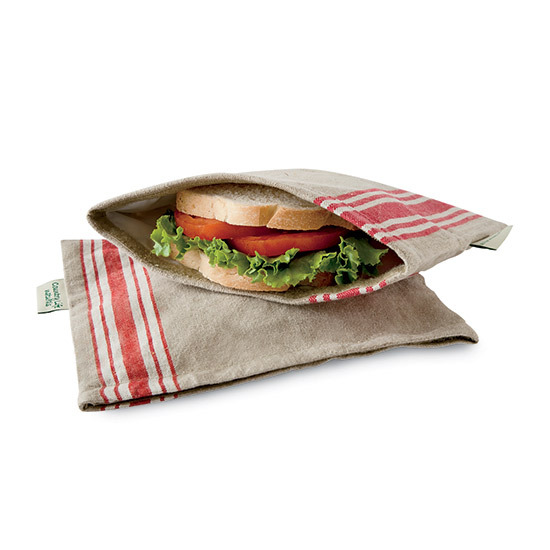 $660 for bag, $150 for roll-up; mooreandgilesinc.com. 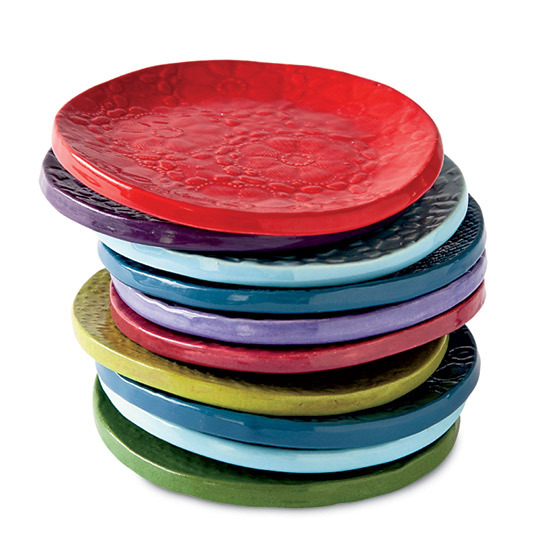 Clayswan's bright colors and playful shapes evoke iconic Fiestaware designs. 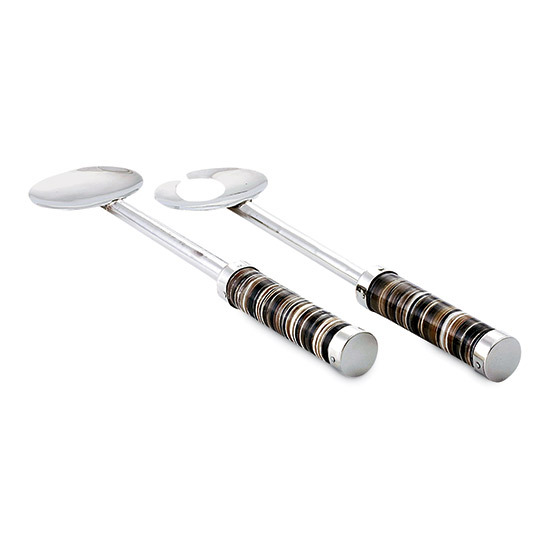 A great hostess gift, these beautiful horn spreaders add elegance to the breakfast table. 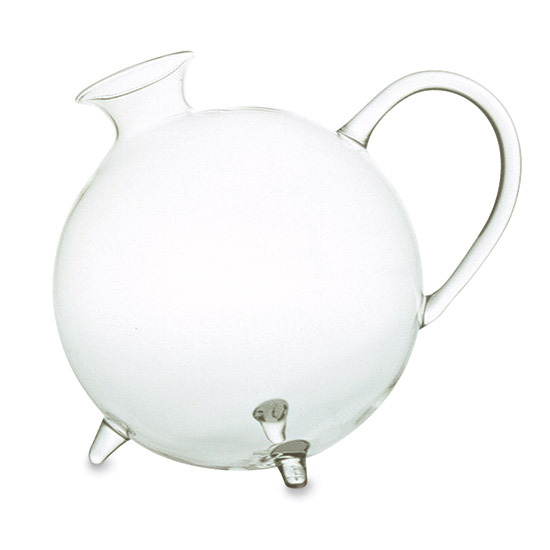 The "Piggy" pitcher from Paola C. is hand-blown in Italy. 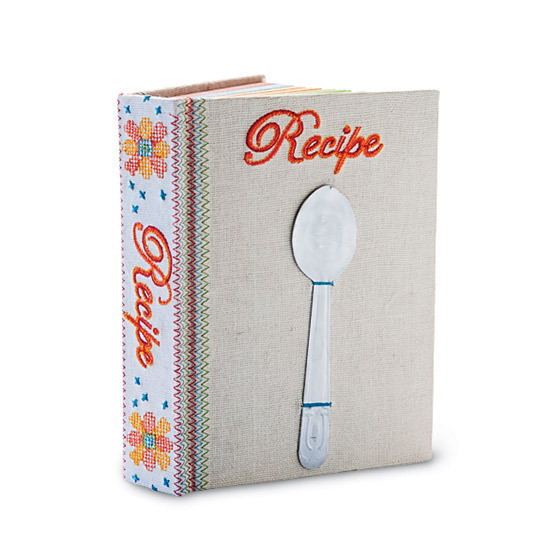 This journal-meets-organizer is ideal for chronicling cooking and eating adventures. 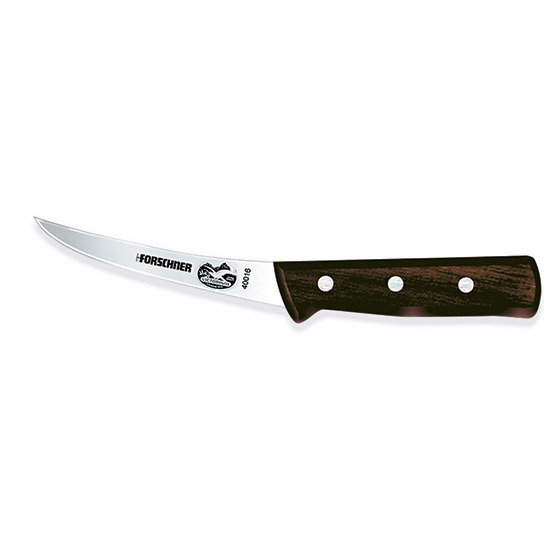 "I use my Forschner for butchering 99 percent of the time," says Tom Mylan of the Meat Hook about his 5-inch, rosewood-handled knife. "It debones almost anything" ($34; swissarmy.com). 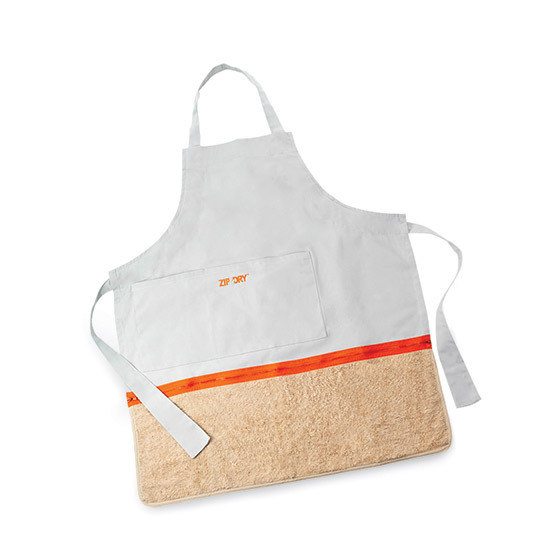 Also one of Senior Editor Chris Quinlan's finds: This apron has a towel on the bottom that zips off. 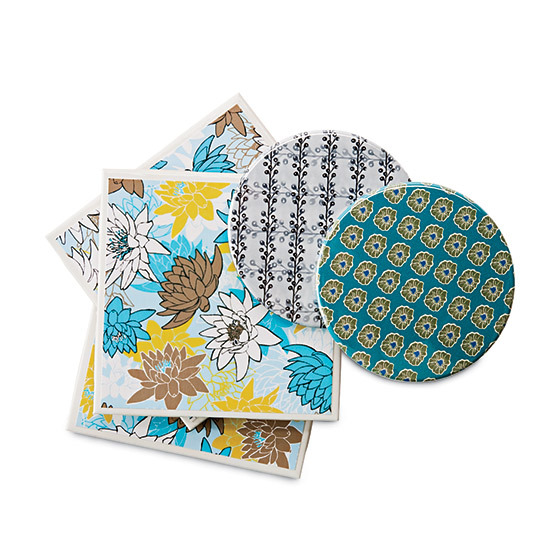 Jess Gonacha and Beccaroon make graphic coasters printed with their own original artwork. From $12 per set; etsy.com. 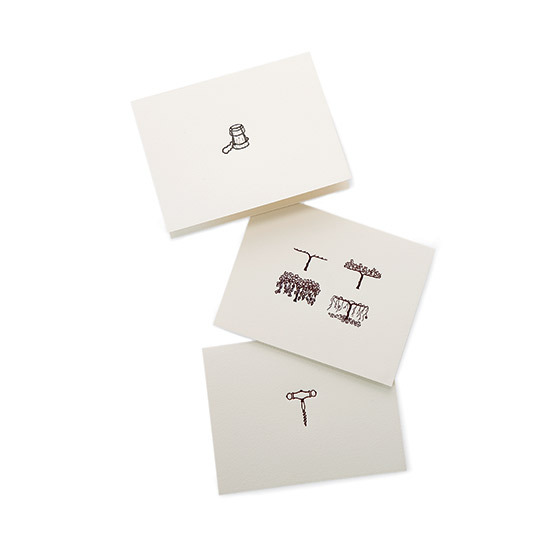 Barn Simple Press's heavy cotton note cards celebrate wine. 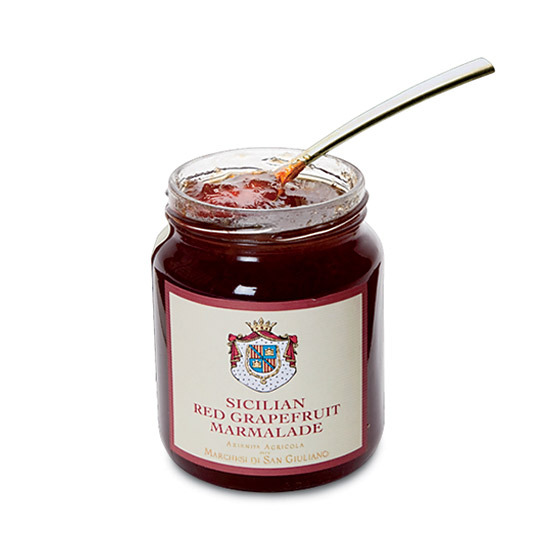 Nicely sweet and sour, this red grapefruit marmalade has a surprisingly spreadable texture. 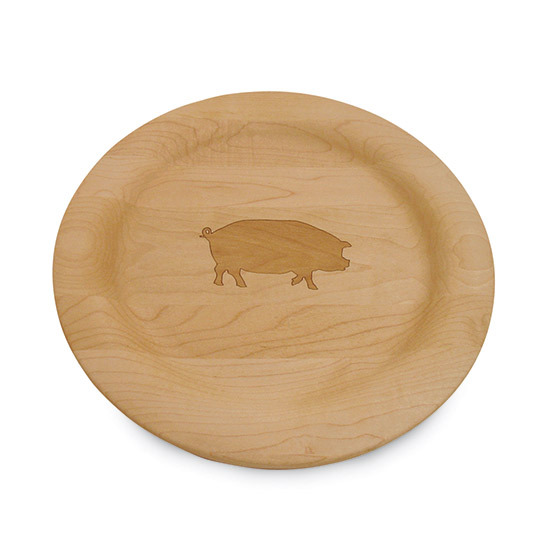 This wood plate, made from maple, is a fun way to serve charcuterie. 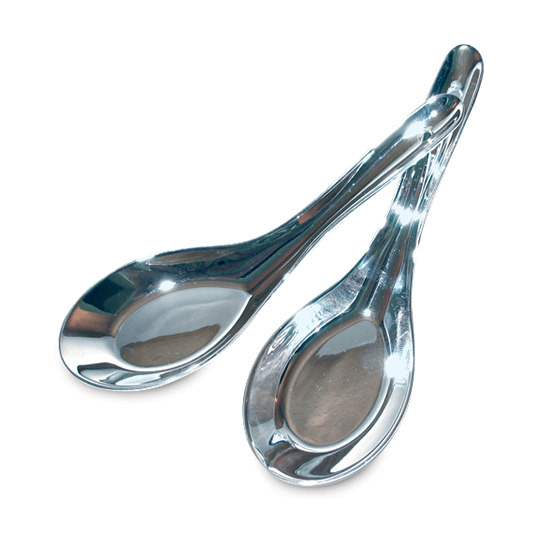 A sophisticated take on Chinese soup spoons. 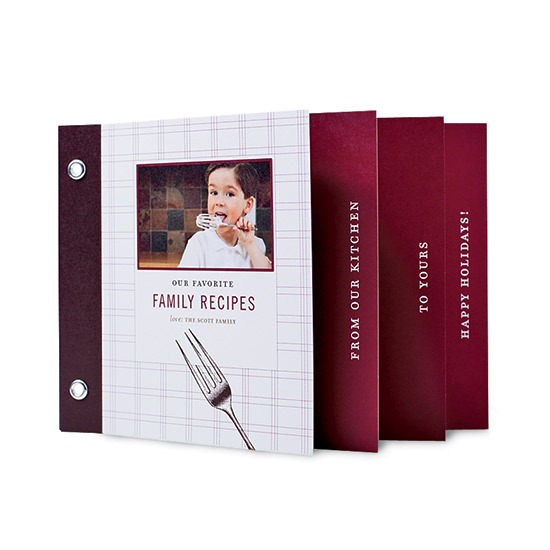 A holiday card doubles as a recipe booklet with pictures. 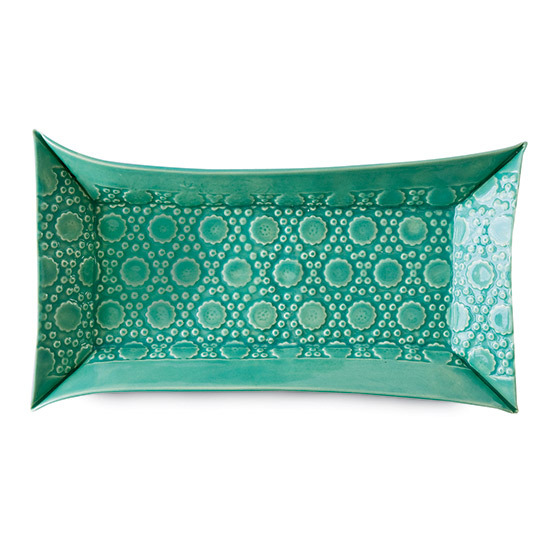 From $87 for 15; minted.com. 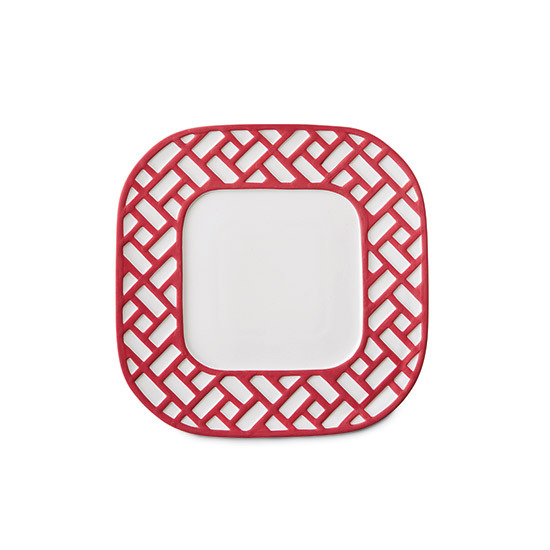 Handmade by AtelierBB, these colorful clay plates have a beautiful lace pattern. $27.50 for 2; etsy.com. 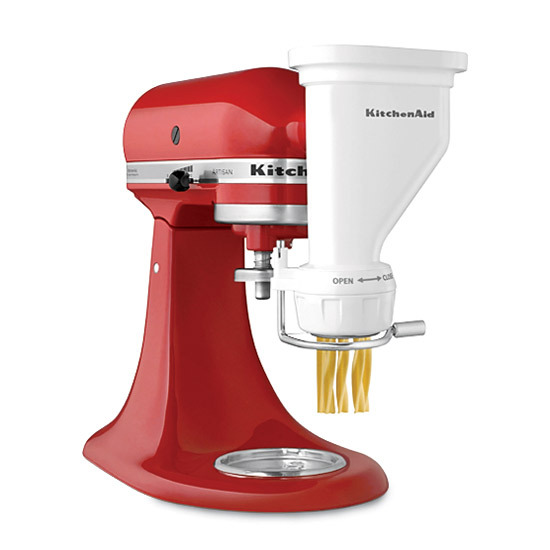 KitchenAid's new attachment can produce six different pasta shapes. 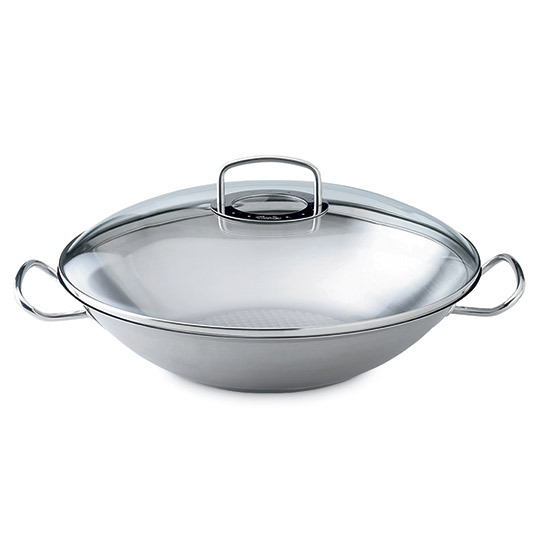 The Fissler wok has a flat bottom, so it heats quickly and evenly. 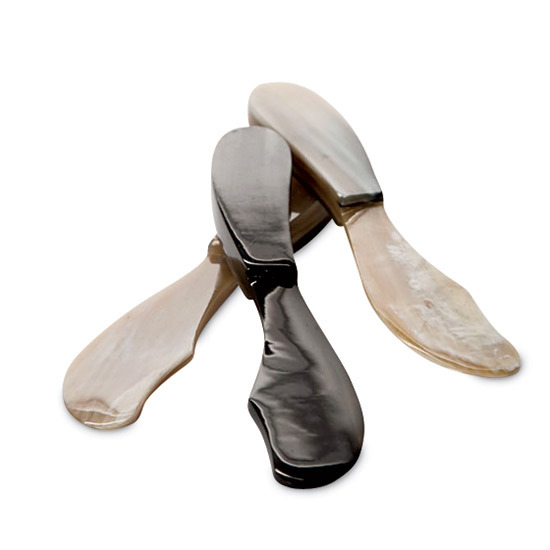 "Capa" serving utensils from Argentina-based Airedelsur have animal-horn handles. 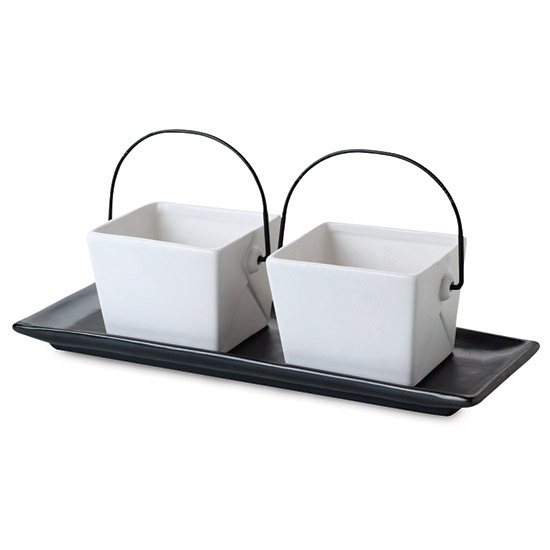 The "New East" stoneware set brings takeout home. The porcelain "Lattice" collection from Urban Oasis has a bold raised border. $16; globaltable.com. 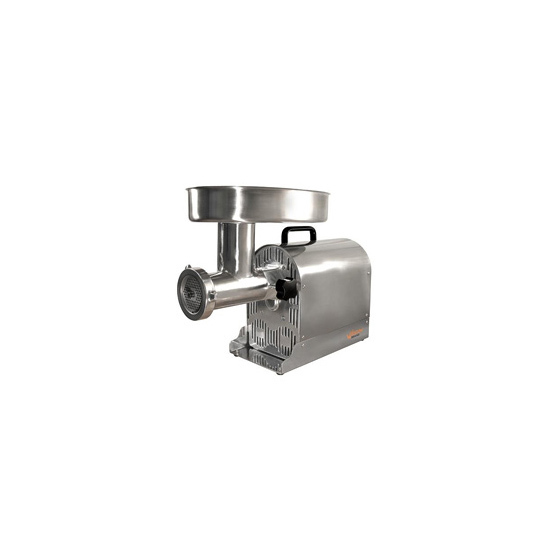 MeatProcessingProducts.com is a great source for everything from meat dehydrators to smokers. To make sausage and charcuterie, butcher Ryan Farr recommends the TSM #10 grinder because it's powerful but compact ($640; meatprocessingproducts.com). 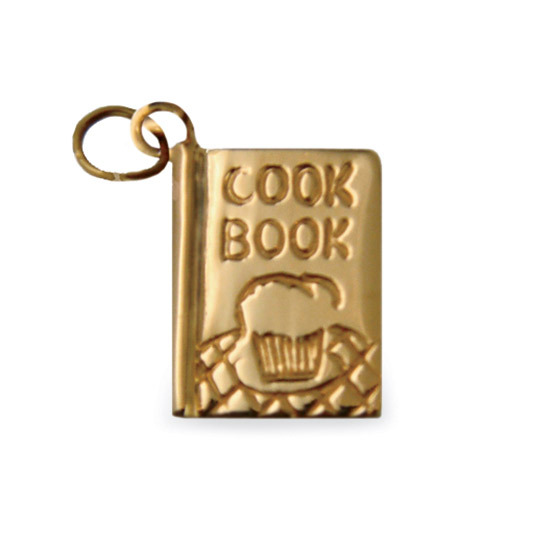 Editor-in-Chief Dana Cowin says to wear your passion on your wrist with foodie charms. 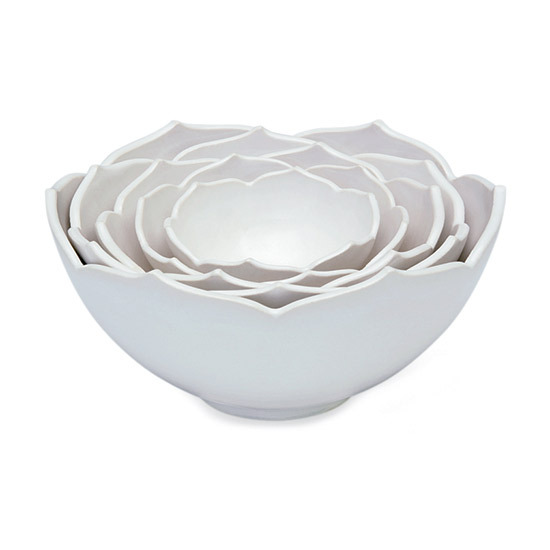 Senior Editor Chris Quinlan loves Whitney Smith's pottery, like these floral nesting bowls. 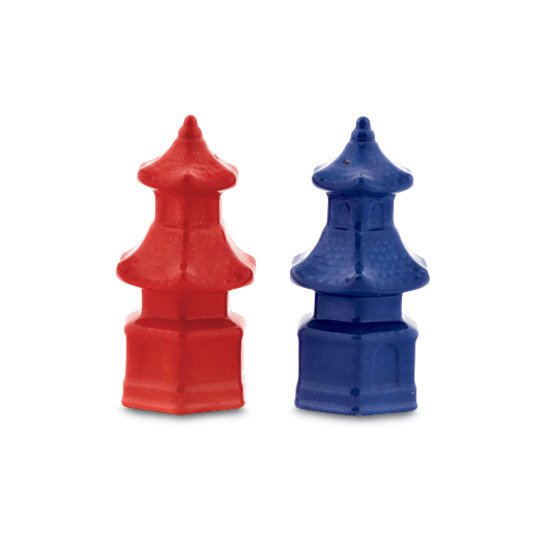 "Chinatown" salt and pepper holders are hand painted in rich blue and Chinese red. $45; homejameseasthampton.com. 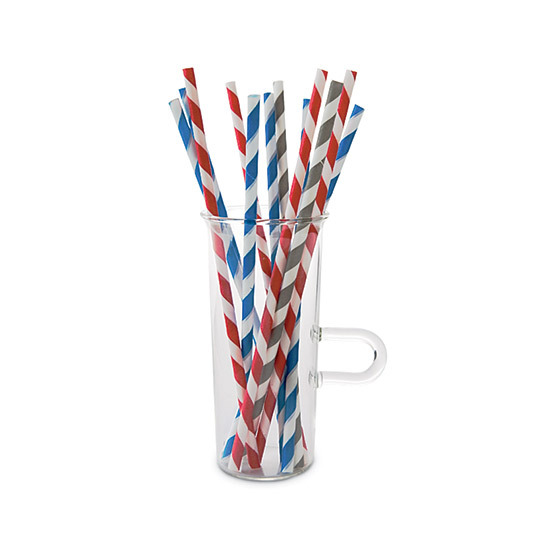 Pixy Stix–esque stripes add retro style to drinks. $3 for 50; kikkerlandshop.com. 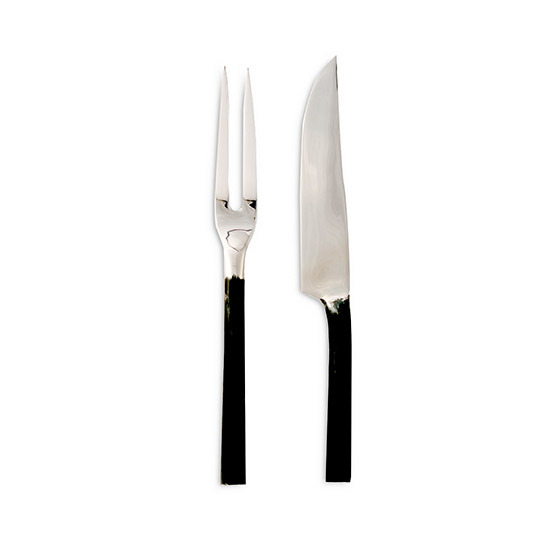 H Groome's carving set is made of hand-hammered stainless steel with a minimalist design ($110; hgroomeonline.com). The Joseph Joseph Cut&Carve Board is angled to catch meat juices during carving ($25; amazon.com). 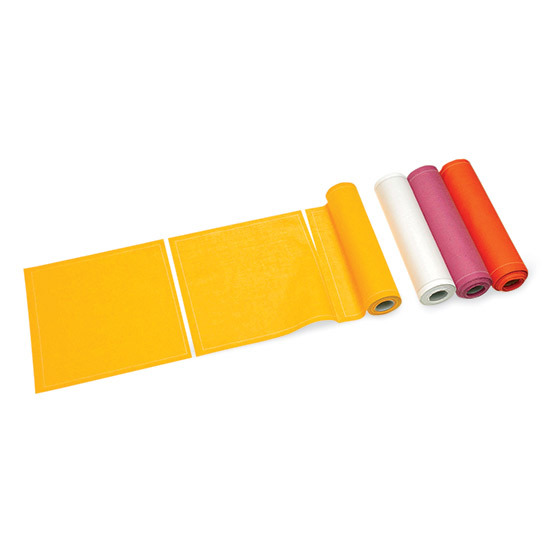 In cotton or linen, MYdrap washable napkin and place mat rolls are perforated. Style Editor Jessica Romm thinks they're clever. 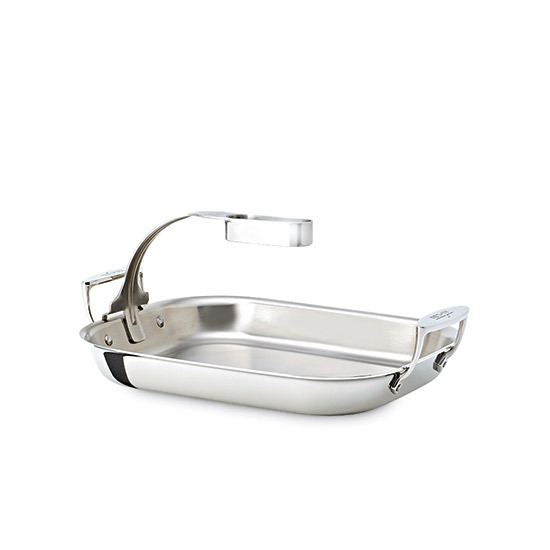 All-Clad's latest has an attachment that slides inside the bird to hold it above the pan, so it browns evenly. 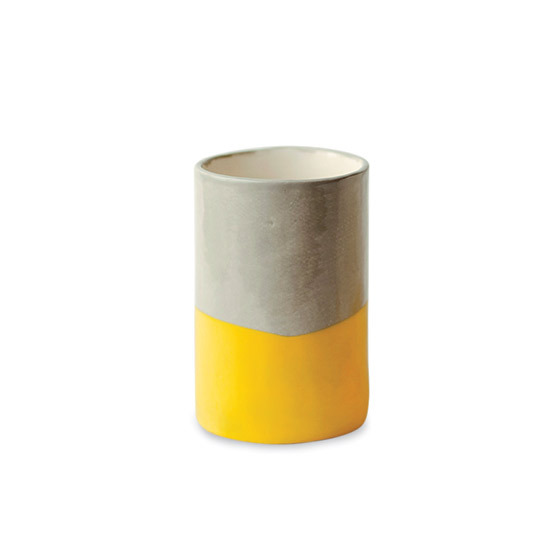 Senior Designer Michael Patti likes the no-slip grip of the "Drip" cup's rubber bottom. 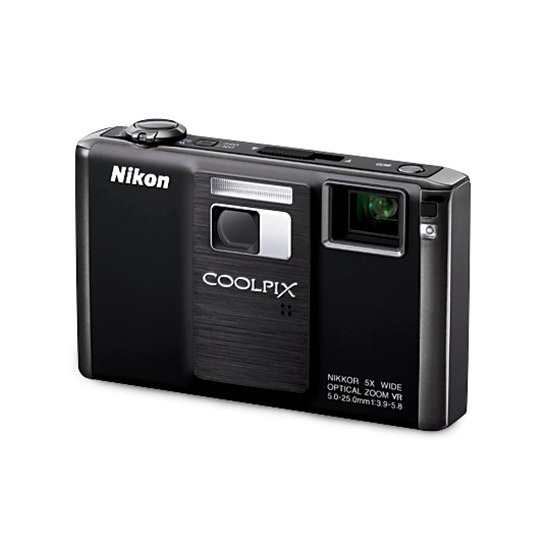 The Nikon S1000pj comes with a built-in projector. 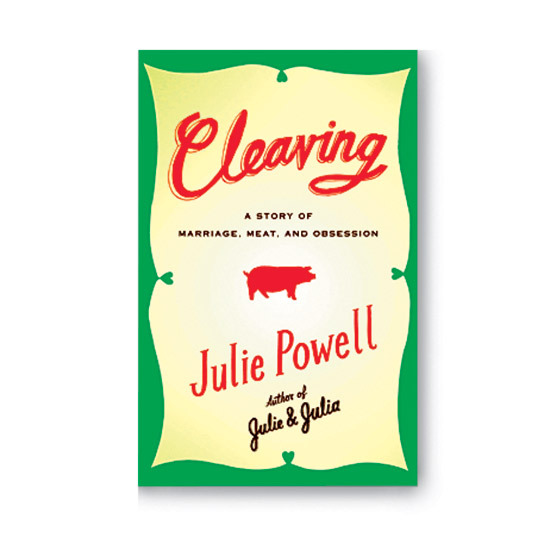 In her new book, Cleaving, Julie Powell (author of Julie & Julia) learns to butcher as a distraction from her troubled marriage. In Lobel's Meat Bible, top NYC butchers explain how to cook different cuts. 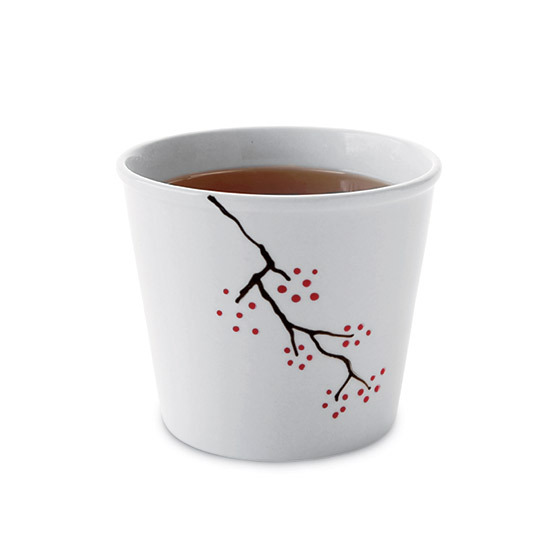 Soule's hand-painted cup makes cherry-blossom season a year-round event. Country Life Naturals lines vintage fabric with waterproof nylon. 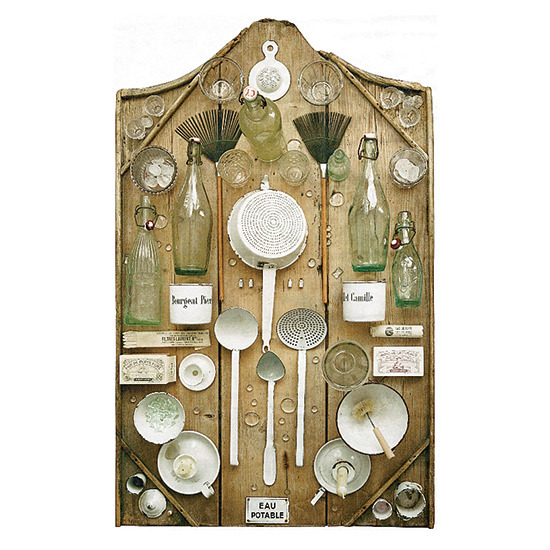 Style Editor Jessica Romm selects a Pierrick Verny photo, "Tôle emaillée blanche" (white enamelware), styled by Jean Sonnet.